This is a survey provided by Mountain Dew Malaysia in a contest. It seem like Mountain Dew blue shock votes outnumbered counterparts. I have deiced to find it out at nearest local store to try it out. I would like to advise all of them who drinks mountain dew to take it slowly or once in a while not to rush drink the whole bottle. I guess it too sweet to drink the whole bottle. 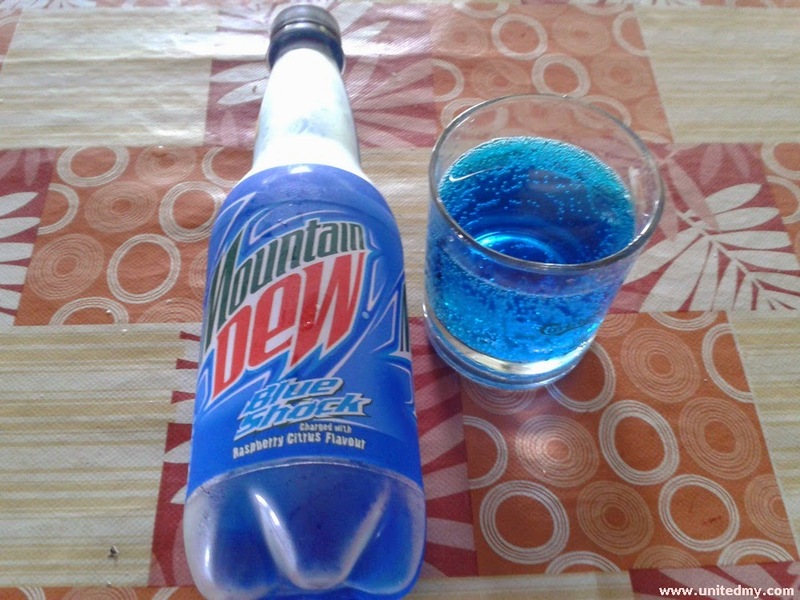 I would take 4 days to drink 500ml of Mountain Dew Blue shock or more. Mountain Dew is quite popular beverage right now I guess due to it extensive marketing effort. The brand sponsored some of the most well-received grand events.